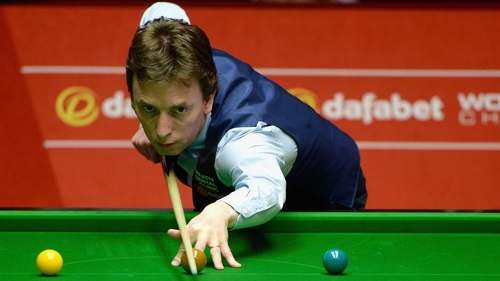 Ken Doherty has said the World Snooker tour has never been in a better place in the wake of Ronnie O’Sullivan’s criticism and threat to leave for a breakaway format. Five-time world champion O’Sullivan has increased his complaints about the tour in recent weeks, focusing on how 128 players feature and matches are sometimes played in remote venues. The 42-year-old English man said on Sunday that "if someone offered me the opportunity to play on another platform, I would be gone tomorrow." Doherty, who was narrowly beaten by O’Sullivan in the UK Championship, has rubbished O’Sullivan’s idea. The 1997 world champ told Game On on 2fm: "The tour has never been better. We had six ranking tournaments before Barry Hearn took over. We have like 26 now. He doesn’t have to play in them all. He can pick and choose and it’s never been like that before. "The golfers play in 20-odd tournaments a year. He doesn’t have to do that. He can play in 10 or 12 tournaments. Nobody else on the tour would go on a breakaway tour because they are so happy the ways things are. "I really don’t know where he is coming from. I can understand a few tweaks with things like better venues, scheduling maybe, but he doesn’t have to play in them all if he doesn’t want to. "This is the fairest tour for everybody. This is not a tour for Ronnie O’Sullivan. It’s a tour for the 128 players and it’s the fairest system that we have."